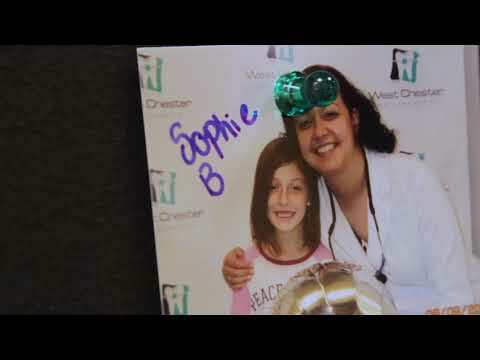 PITTSTON, PA — March 14, 2016 — With a network of more than 9,000 members, The Lucy Hobbs Project’s commission to select six honorees each year for the distinction of Exemplary Women in the Dental Community is no easy undertaking. This year, when The Lucy Hobbs Project® lauds these award recipients during its 4th annual celebration, to be held June 2 and 3 in Dallas, Texas, attendees will be awestruck by winners in the following categories: Clinical Expertise, Industry Icon, Mentor, Woman-to-Watch, Innovator, and Humanitarian. Though best known for the monumental stride made for her gender in 1866 — earning the first dental doctorate — what Dr. Lucy Hobbs Taylor did in the years that followed deserves equal time in the spotlight. Mentoring, establishing a network of support for others in her situation, and persevering in the face of all obstacles also contributed to Dr. Hobbs’ legacy. Likewise, common denominators exist among the 24 women – 18 past honorees and 6 new winners – celebrated with an award that bears her name. Their dental excellence commands respect, and their ability to lead, teach, innovate, and drive change inspires amazement. Powered by Benco Dental, The Lucy Hobbs Project is a national, long-term program based on three pillars – networking, innovating and giving back. Named after Dr. Hobbs, this project aims to bring women together from all facets of the dental industry – dentists, dental assistants, hygienists, receptionists, sales representatives and others. The project is free to join and offers networking opportunities, educational programs and charitable events. Joyce Bassett, FAACD, FAGD, recipient of the Clinical Expertise award, studied biology as an undergrad at the University of Toledo at age 16, and entered the College of Dentistry at Ohio State by 19. Without skipping a beat, Dr. Bassett opened a private practice in Scottsdale, Arizona, with its focus on complex rehabilitation cases. Voted among the Top 5 Female CE Educators, this national lecturer and published author founded the Women Teaching Women Cosmetic Learning Facility, which has been an adjunct teaching site for the Arizona Dental School. The state’s only accredited Fellow in The American Academy of Cosmetic Dentistry, Dr. Bassett recently earned the appointment of President for the organization. Theresa S. Gonzales, Ret., DMD, MS, MSS, recipient of the Industry Icon award, continually enlightens her students as Director of Orofacial Pain Management and Professor of Oral Pathology at the Medical University of South Carolina – James B. Edwards College of Dental Medicine. Daily, she calls on the vast knowledge amassed during a distinguished career in active federal service with the U.S. Army Dental Corps. A Diplomate of the American Boards of Oral and Maxillofacial Pathology, Orofacial Pain, Forensic Dentistry and Forensic Examiners, Col. Gonzales most recently shared her vision with the Office of the Army Surgeon General. A dynamic lecturer who winds humor into dental education, Col. Gonzales has authored 50-plus scientific publications and is the recipient of the International College of Dentists Award for Excellence in Research, the Order of Military Medical Merit and the Surgeon General’s A designator for clinical excellence. Susan Maples, DDS, recipient of the Mentor award, educates dental groups throughout the country, transferring expertise gained under the most renowned teachers in her field and at her practice of 30 years in Holt, Michigan. With her work in advanced dental restoration and innovative total health implementation strategies, Dr. Maples combines her love for dentistry and her passion for health. She is instrumental in positioning the dental profession to play a major role in the pending health care crisis. In the hopes of discovering pre-diabetes and diabetes sooner in the patient population, Dr. Maples recently was published for a study, Diabetes Detection in the Dental Office. Originator of the Hands-On Learning Lab™ Kit for children, Dr. Maples is recognized nationally for making a significant difference in children’s oral and physical health. In her own office, she individually mentors her patients toward health and has inspired dozens toward a career in dentistry. Kadambari ‘Kady’ Rawal, BDS, CAGS, recipient of the Woman-to-Watch award, provides dental care to her patients at the Faculty Practice of Boston University Dental Health Center. Passionate about geriatric dentistry, she also provides dental treatment to the elderly living in long-term care housing in the Boston area. Dr. Rawal earned her BDS degree from D.Y. Patil University School of Dentistry in Mumbai, India, and later joined Boston University Henry M. Goldman School of Dental Medicine (BUGSDM), where she graduated from the AEGD residency program and where she currently serves as Clinical Assistant Professor. She is the faculty mentor for the American Association of Women Dentists’ Chapter at BUGSDM and also represents the Women in Dentistry Committee on the board of the Boston District Dental Society. As an advocate for BUGSDM’s Women-to-Women program, she conducts monthly oral screenings for homeless, abused women in Boston and has also conducted dental outreach programs for women living within the red light districts of India. Pamela Schmidt, DDS, DNM, IBDM, recipient of the Innovator award, has a commitment to providing a holistic and whole body health approach to patients in her Rockford, Illinois dental practice. Certified in integrative biologic dental medicineand board certified as a naturopathic physician, Dr. Schmidt has been instrumental in changing dentistry, from being one of the first female dentists in Rockford to utilizing ozone therapy and introducing safe mercury removal protocol. Hers was the first dental office in Illinois to feature a mercury containment system, which ensures the waste is removed to a treatment plant and is not toxic to the environment. Mary Teddy Wray, DDS, recipient of the Humanitarian award, empowers her team with knowledge and confidence as owner and CEO of a dental practice in Bel Air, Maryland. In addition to inspiring with her clinical expertise, she demonstrates by example another vital ingredient in the formula for success: giving of oneself for a greater good. A graduate of Georgetown University School of Dentistry, Dr. Wray contributes as an active member of 10 professional associations. She dedicates her personal talents and resources to create safe havens and provide free dental services for victims of assault and abuse, as well as members of the homeless, elderly, and disabled populations. Her committed efforts help sustain more than 20 charitable organizations within her community and across the globe. Nominations underway; 4th annual celebration June 2-3, in Dallas, Texas, will honor women who inspire change from the laboratory to the operatory. PITTSTON, PA — November 5, 2015 — Revolutionary. Pioneer. Changemaker. Terms that define Dr. Lucy Hobbs, the first American woman to earn a degree in dentistry, also describe the modern women in today’s dental community who are recognized annually by The Lucy Hobbs Project®. PITTSTON, PA — August 18, 2015 — At their seats in the audience, Carla Rawheiser, R.D.H. and her daughter Becca, 21, clasped hands and shared smiles. The impetus: During an acceptance speech, Lucy Hobbs Project Innovator Award recipient, Dr. Lindsay Limbaugh, had just publicly thanked her mother Marsha Miller, with whom she had traveled more than 11 hours from their home in Alabama. Esther Wilkins, BS, RDH, DMD, accepted her Industry Icon award virtually from her home in Boston, blocks away from Tufts University School of Dental Medicine, from which she graduated in 1949. At 98, the author of Clinical Practice of the Dental Hygienist continues to share knowledge amassed throughout a legendary career. Welcome speaker Desiree Walker, DDS, (a North Carolina dentist known for her multiple appearances on American Ninja Warrior, NBC’s extreme-obstacle competition) offered a tribute to the project’s namesake, who in 1866 became the first American woman to earn a dental degree. During the celebration, The Lucy Hobbs Project® capped off a year of giving back with a $1,000 donation to Dress for Success Baltimore, along with 14 boxes of clothing donated by Benco Dental associates at the company’s home office in Pennsylvania, CenterPoint East. Throughout the year, at Lucy Hobbs Project networking events, hundreds of pieces of clothing were collected to support Dress for Success affiliate locations nationwide. PITTSTON, PA — February 13, 2015 — Overcoming obstacles, reducing errors, and succeeding under pressure — fighter pilots and dental industry professionals share more in common than one might expect. At the upcoming The Lucy Hobbs Project® 3rd Annual Celebration Honoring Exemplary Women in the Dental Community, outstanding leaders in both fields will share the stage in Baltimore, Maryland, as well as lessons learned on their paths to success. As keynote speaker for the June event, Carey Lohrenz, the first female F-14 Tomcat Fighter Pilot in the U.S. Navy, will describe her journey of fearless leadership as a pioneer in military aviation. Her story serves as a contemporary parallel to Lucy Hobbs, who, in 1866, became the first American female to earn a degree in dentistry. Dr. Hobbs was denied access to education based on her gender, but persevered to learn dentistry through apprenticeship, and eventually graduated from the Ohio College of Dental Surgery. On June 4 and 5 at The Lucy Hobbs Project® 3rd Annual Celebration, the awards, named for Dr. Hobbs, will be presented to honorees in the industry who help lead the charge for women in dentistry and embody the project goals. Created by Benco Dental, The Lucy Hobbs Project® empowers women in dentistry to drive change and deliver success through networking, innovation and giving back. Free to join, the project aims to bring women together from all facets of the dental industry — dentists, dental assistants, hygienists, receptionists, sales representatives and others — for networking opportunities, educational programs and charitable events. Throughout the celebration, attendees will be hosted to events at the National Museum of Dentistry and Baltimore Marriott Inner Harbor at Camden Yards, including a Continuing Education opportunity, courtesy of Benco Dental and event sponsors: Kavo Kerr Group and P&G Crest + Oral B. Presenters will include keynote speaker Lohrenz, educator Dave Weber, and practitioner and American Ninja Warrior contestant, Dr. Desiree Walker. PITTSTON, PA — November 24, 2014 — From operatory to laboratory, a new generation of women is changing dentistry. The Lucy Hobbs Project, powered by Benco Dental, aims to recognize these revolutionaries with six awards that celebrate their distinctive talents. Slated to take placeat the Baltimore Marriott Inner Harbor at Camden Yards in Baltimore, Maryland, June 4 – 5, 2015, the Lucy Hobbs Project Annual Celebration Honoring Exemplary Women in the Dental Community will honor those who are setting new benchmarks in the dental profession and beyond. The annual event, named for the woman who, in 1866, became the first American female to earn a degree in dentistry, will recognize and award industry professionals whose achievements mirror those established by Lucy Hobbs.